The Vintage Hobby sells restored second-hand furniture, they also offer kitchen ware and old school home electronics and appliances. Some of the furniture you’d be able to find includes side tables, cupboards, coffee tables, dining tables, display cabinet, sideboard, and many more. The Vintage Hobby also offers a variety of kitchenware consisting of glasses, plates, tea sets, cups, bowls and utensils. The business is run by Bel, she describes The Vintage Hobby as a community of vintage collectors, getting together to buy and sell vintage furniture and home items. If you’d like to browse their offerings, head on over to their Facebook page. For more inquiries, you can drop Bel an SMS at 83285288. 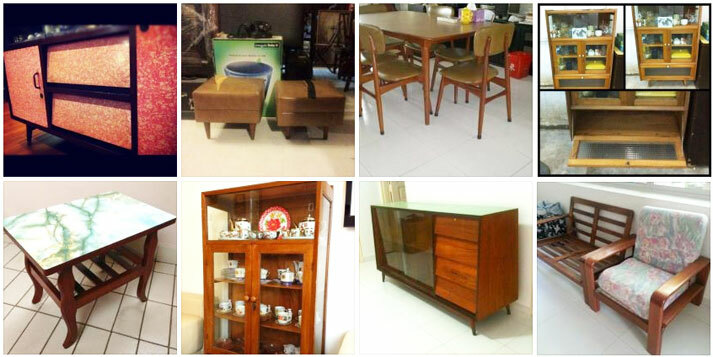 More Stores Selling Second-Hand and Vintage Furniture.